When the body of a half-clothed woman is discovered in an Edinburgh park, a murder investigation is launched. The victim has not been reported missing and there are few clues to her identity. Soon after, the naked corpse of a prominent clergyman is found, also in a park. DS Alice Rice wonders if the same killer is at work, and if so, what is the connection between the apparently motiveless attacks? 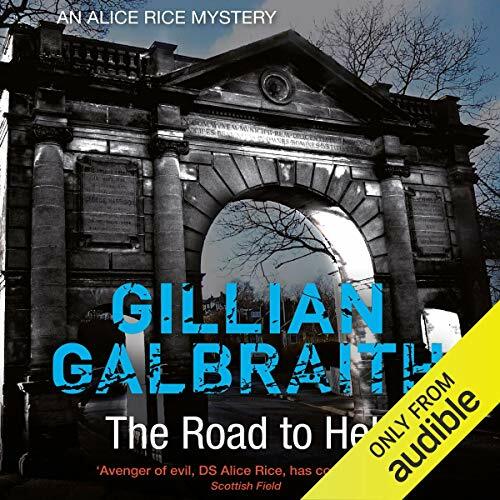 The Road to Hell, the fourth in the series, takes the policewoman to new personal depths and along a trail that leads to some of Edinburgh's darkest and scariest corners. ©2012 Gillian Galbraith (P)2014 Audible, Inc.